I see that Robert Spencer‘s new book, Did Mohammed Exist?, is now available for the Kindle. That’s great! I will get it as soon as I can. Meanwhile I thought it might be interesting to have a look at the one-starred reviews. As I mentioned once before, the best way to judge the quality of a book on a controversial subject is to take a look at how hysterical the one-starred reviews by liberals who haven’t actually read the book get. By that criterion, Did Mohammed Exist? is really good. As of this writing there are seven one-starred reviews. Here are the first two. This is pure garbage from some Islamaphobic ignorant moron! Throw as much BS out there and hopefully the layman or even better an uneducated hate spewing follower will believe this trash.. There is no merit to a book about the Prophet Muhammad unless it’s written by a serious objective scholar that has been peer-reviewed. Mr. Spencer has no such qualifications. 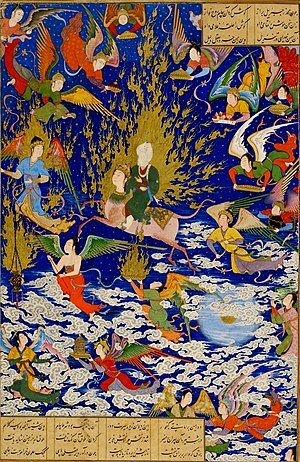 He purports to use the works of other scholars to support his claims, so he provides no original sourcing or research. Rather, he cherry-picks scholars to support his own biases and prejudices, and then markets the book as the “best-selling book on Islam on Amazon.com.” After reading this distinctly amateur effort, I discovered that I, too, can write a book on a subject that I have no expertise and have it marketed on Amazon.com as the “best-selling book on Widgets.” There are people who want to read about Islam to justify their hatred of specific religions and there are people who want to learn about specific religions for a better understanding of the world they live in. Mr. Spencer’s book appeals to the former. Read Esposito or Armstrong for the latter. Notice that neither reviewer actually refutes anything Spencer had to say. I don’t know who Esposito is but Karen Armstrong is somewhat notorious for white washing many of the more unpleasant aspects of Islam. I would say then, that if you want to learn more about a theological and politic system that is a threat to our freedom, read Spencer. If you want to read comforting lies, read the other two. I’ll go on with the next two. This book was written by a layman. The author purports to be an Islamic scholar but has no academic credentials to claim scholarship. In fact, Mr. Spencer has no university degree whatsoever in Islamic studies. His writings have never been peer-reviewed. Mr. Spencer does not read Arabic, which is a basic requirement for Islamic studies. Yet here is a writer who takes a provocative position on the existence of the Prophet Muhammad and we are suppose to believe his work. This book was written solely for readers who are seeking to reinforce their prejudices and bigotry against Muslims. It will satisfy and justify those individuals’ bigotry. A cursory inspection of Mr. Spencer’s website clearly demonstrates his own bigotry and utter lack of respect for the Muslim community. If you like what he writes on his website, you will love the book. If you want serious scholarship with an objective view of Islam, try an established Muslim or non-Muslim scholar. Robert Spencer is an islamophobe and a long-time ally of anti-Muslim mainstay Pamela Geller. He spends all of his time spewing hate messaging and compares Muslims to the Nazis. This book is pure rubbish and doesn’t even try to logically refute some of the historical facts noted in history. Don’t waste your time or money on this one. Spencer may well have a lack of respect for the Muslim community (he would disagree), but where exactly is he wrong? No he does not read Arabic, but he knows those who can and translations of Moslem scriptures are available. I gather that, for this book, he uses historical accounts from the peoples the early Moslems conquered. Did he have to learn to read Byzantine Greek, Persian, and Syriac as well? As for the second reviewer here, perhaps he is unaware of the connections between the Nazis and Arab nationalists before and during the Second World War. The Grand Mufti of Jerusalem happened to be a good friend of Hitler’s regime. The theme of the book is to question whether the person known as Mohammed happened to exist. The historical facts seem to suggest that there is a good chance he did not. If the reviewer knows better, he should write his own book refuting Spencer’s thesis without name calling. The book is not even worth reading because the title itself proclaims the author’s ignorance. And, no, I am not a Muslim. And, no, I did not read the book. The title is enough. And, yes, I support the author’s right to freedom of expression, even if it is based upon ignorance. And, yes, I am very familiar with the author and his views and his Web site. And, yes, I have heard the author summarize his book on the radio. At least he is honest. He hasn’t bothered to read it but he can review it. As it happens, the questions of whether Jesus or Moses existed has been much discussed by scholars. Why shouldn’t the question of whether Mohammed existed be discussed? Why is that question automatically a sign of ignorance and hate? INDEED, SPENCER HAS NO FORMAL EDUCATION IN ISLAMIC STUDIES. HE CANNOT SPEAK, WRITE, READ NOR UNDERSTAND ARABIC!!! YET HE IS A SCHOLAR? I PUT IT TO YOU… SINCE WHEN DID A SCHOLAR OR ACADEMIC OF CLASSICS NOT REQUIRE TO BE FLUENT IN THE GREEK LANGUAGE? IN THE ABOVE LINK YOU WILL SEE HOW SERIOUSLY FLAWED SPENCER’S SO CALLED ‘SCHOLARLY’ WORK IS. A COMPLETE JOKE! The twisted, completely uneducated, culling of material from sources, and patching it up to support a hate theses, shouldn’t even qualify this to be a book. Can’t understand how someone with absolutely no credentials on this topic can be seen as an authority. There is no more to be said about them. They don’t refute anything Spencer said. They only indulge in name calling and irrelevancies. I don’t think that any of these reviewers, except perhaps the last, are actually Moslems. They probably think they are being liberal and tolerant and politically correct. The irony here is that is any country under Sharia they would be among the first to get their throats cut. I am getting more fund-raising e-mails from the Democrats. It seems that every month there is a new deadline from the FEC that the Democrats have to meet. Will, I am certainly willing to do my part. Here is the latest message. Sometimes it seems like the other side thinks Americans are dumb. Their message right now is: You didn’t clean up our mess fast enough. Mitt Romney and the Republicans want to take our country back to tax cuts for millionaires and billionaires and let Wall Street write the rules. We’ve seen that movie before, we know how it ends, and none of us wants a sequel. Will you chip in $3 or more before tonight’s midnight deadline? No, we certainly don’t want a growing economy with low unemployment, do we? I liked that last recession, or is it funcession, so much I want another so I am surely going to make my contribution. The Louisville Courier-Journal endorsed Senator Richard Lugar for the upcoming primary. This is no surprise since they always endorse the Democratic candidate in the general elections while endorsing the most Democratic minded Republican for the primaries. Actually, the editors unintentionally make a good case for supporting Lugar’s opponent Richard Mourdock. During 36 years in the U.S. Senate, Republican Richard Lugar has built an impressive career as a conservative but rational member of Congress, respected for his knowledge on foreign policy and as the ranking member of the Foreign Relations Committee. Though he considers himself conservative, Mr. Lugar, 80, has developed a reputation for being willing to work with Senate Democrats. And he is the only member of Indiana’s Republican Congressional delegation with enough courage to refuse to sign Grover Norquist’s mindless anti-tax pledge, saying it ties lawmakers’ hands and adds to congressional gridlock. Now Mr. Lugar is facing perhaps his toughest election challenge ever in Indiana’s May 8 primary from Republican Richard Mourdock, backed by tea party extremists who argue that the Senator is just not conservative enough. Observers are billing the race as one of several around the country where tea party activists are seeking to prove their movement is still politically potent. Extremists are those people who believe that it is dangerous to spend $1 trillion more than we have every year and who believe in limited government. Real wackos there. I do not believe Grover Norquist’s anti-tax pledge is mindless. We did not get into our current mess because the American people are not taxed enough. We got into our mess because our leaders refuse to stop the government’s reckless spending. Mr. Mourdock, 60, in his second term as Indiana state treasurer, offers little to inspire. His campaign provides a predictable laundry list of his stances on issues likely to appeal to the rightest wing of his party. He hates Obamacare, runaway federal spending, liberal U.S. Supreme Court justices and abortion. He loves the notion of securing U.S. borders and the right to bear arms. That laundry list happens to be the opinions of a large percentage of the American people. I suspect the majority of my fellow Hoosiers would support every item on that list. I guess we’re a whole state full of extremists. I guess the editors of the Courier Journal support runaway federal spending and oppose securing our borders. Haven’t voters learned anything from the last round of elections where tea party-backed candidates flocked to Congress and promptly jammed up the works with their arrogant refusal to compromise? When you are in a car that is heading toward a cliff at 100 miles per hour and driver wants to keep going while you want to put on the brakes, slowing down to 50 miles per hour may be a compromise, but it is not a very good idea. The United States is heading toward a fiscal train wreck at warp speed and neither President Obama nor the Democrats in Congress are even willing to admit we have a problem, much less come up with any solutions. The Democrat-controlled Senate can’t even get around to making out a budget. What is there to compromise about? The Tea party backed candidates want to save the country. the Democrats want to fiddle while the country burns. Hoosiers should value Mr. Lugar’s maturity and experience and select him over his GOP primary opponent. On the contrary, Hoosiers should send Senator Lugar to a well-earned retirement. I got an update from the Truth Team today. Among the other talking points, they wanted me to be sure to remind everyone that Obama is doing his best to protect the environment. I’ll be sure and remember these firsts when rolling blackouts become a way of life because it is uneconomical to build any new power plants and when the next Solyndra type scandal hits the news. I like dogs as much as the next guy, but this is just dumb. In this canine love story, ring around the collar was the intended effect. Scruffy Rubin and Snickers Carter had a wedding many couples dream of, featuring 100 guests, a wedding cake, open bar, receptionist and even security. But while the newlyweds are reportedly happy together, that are not actually human. The Desert Sun reports that actual humans Ernie Rubin and Ann Carter got together to throw Scruffy and Snickers a $5,000 wedding at the Palm Desert Resort Country Club in Palm Desert, Calif., on Sunday. “I’m not losing a son, I’m gaining a daughter-in-law,” Carter told the paper. The ceremony was officiated by “priest” Harry Farber, who wore a black collar featuring novelty dog bones. 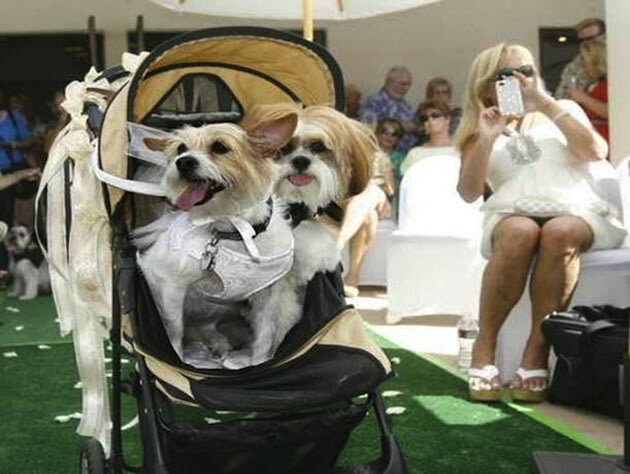 As the two dogs—dressed in custom couture dress and doggie tuxedo—walked down a faux grass carpet aisle , they were accompanied by a ring bearer, flower boy, groomsman and usher. However, it’s worth noting that the groomsman was a Pug named Max. Actually, the humans involved did make it a charity event with guests being asked to contribute to the Orphan Pet Oasis Humane Society of the Desert in North Palm Springs. Still, I think they might have been able to do something for animals that didn’t involve spending $5000 on a wedding the dogs neither understood or appreciated. As I said, I like dogs, but dogs are not human. They do not think like humans. In particular, dogs do not usually get married. I saw this on Yahoo News, though I gather it has gotten all over the Internet. The actor said he’s a Democrat and voted for Obama, but now he’s mad as hell at the president’s plan to raise taxes on the rich — and his rant has the Web buzzing. 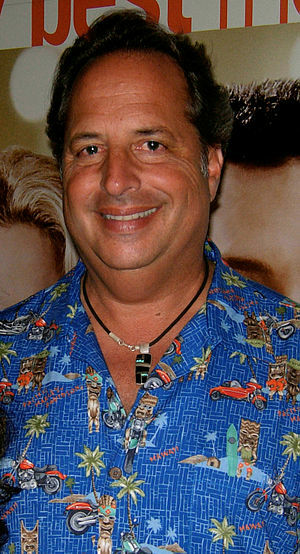 Well, I agree with Lovitz about Obama, but I have to wonder just what he thought he was voting for in 2008. For those of us who paid attention to what Barack Obama was actually saying, and who took the trouble to learn something about his background, there really have been no surprises regarding Obama’s actual policies. The only thing that took me by surprise has been just how incompetent a president Obama actually is. I don’t smoke and I can’t stand the smell of tobacco smoke in any form, so I suppose I should be thrilled at this story from NBC News that I found on Drudge. New Zealand’s Health Ministry has reportedly considered boosting the price of a pack of cigarettes as high as $100 ($81 U.S.) in a bid to make the country smoke free by 2025. An internal government working paper raised the possibility of upping the cost of a 20-cigarette pack by 30 to 60 percent and tacking on yearly increases of 30 percent, Sky News reported. With cigarettes now priced at about $16 to $17, New Zealand Prime Minister John Key said the $100 suggestion seemed like “an awful lot” and could encourage a black market, Fairfax NZ News reported. Anti-tobacco activist Ben Youdan said it would be more “realistic” to price smokes at “$30 to $40 a pack” over the course of 10 to 15 years as part of a comprehensive campaign to reduce the number of smokers in the country, now around 650,000, according to Fairfax NZ News. The problem is that while such a policy would certainly reduce the number of smokers in New Zealand, it would also create a black market of untaxed cigarettes. I imagine that if the costs of trying to crack down on illicit cigarettes are considered the savings in health costs created by the reduction in the number of smokers wouldn’t be all that much.